For contractors, getting a mortgage at a reasonable rate can be painful. For many years, it’s been a frustrating, time-consuming process. Contractor Mortgages® has changed that. We specialise in arranging mortgages for UK contractors. Unlike traditional brokers, we never penalise you when it comes to sourcing a mortgage. The reason being, we’ve set out to make contractor mortgages our business. A bold move, some may say. But it’s worked. We’ve become the preferred mortgage broker for thousands of self-employed UK workers. And that’s no surprise. receive payslips that don’t conform to the norm. Regardless of how you’re employed, we guarantee to find you the best mortgage deal out there. And often with a mainstream lender, maybe even one you’ve approached direct yourself. What’s more, it will be a competitive mortgage based on your contract rate, not your accounts. We’ll make the entire process as simple and painless as possible. We’ll do the leg work; in fact, we’ve already done most of it. But we need to know a little bit more about you before we proceed. Here’s why. How can Contractor Mortgages® secure a mortgage when I can’t? We’ve negotiated realistic bespoke underwriting criteria with a growing number of high street lenders. These lenders are now willing to provide competitive mortgages to contractors. It’s been a tough slog, but they now understand how to assess your relevant earnings. And this relevance is key to you accessing affordable finance using your contract rate. How lenders appraise contractors has always been the problem. For too long, lenders have penalised independent workers in the mortgage application process. It’s sad, but many contractors don’t even get to the mortgage offer stage. High Street advisors take one look at their accounts and reject them on the spot. That’s because bank branch staff struggle to understand the contractor’s world. And these non-specialist brokers have broken the hearts of many of our referred clients. Through their ignorance, an IFA has approached the wrong lender. Or an in-branch advisor has packaged the contractor’s application in an inappropriate way. The result? The untrained advisor offers the contractor an exorbitant rate. Or there’s a frustrating refusal after going through the lengthy application process. Does that painful process sound familiar? We’re betting it does. We know that many of you reading this will identify with that heartache. Irrespective of your payment structure, we’ll find you a competitive mortgage. That’s whether you trade through your own limited company or a UK payroll umbrella firm. Your contract rate will be the basis of your mortgage amount, not pay slips or tax returns. In truth, the latter don’t give an accurate reflection of your disposable income in any case. And this is the benefit of using your contract upon which to base your affordability. You’ll qualify for larger mortgages than if a lender used their typical affordability criteria. It’s taken us a while to educate the banks and mutuals, but the groundwork is now paying off. Big time! Now it’s time for you to reap the rewards of our hard graft. We need to provide you with mortgage advice specific to your situation. Send us your contact details and let us call you back at a time that suits you. In the meantime, there are a few things you can do to prepare. Here’s the why and the wherefore to get the ball rolling. Suppose you could spend just 30 minutes having an informal chat with one of our advisors. Imagine that chat culminated in a mortgage deal for you at least as good as any available to permies? Sometimes, our exclusive deals can trump even the best High Street mortgage offers. Wishful thinking? Not a bit of it. The keys to your new house are just that half-hour chat away. Knowing that you have an affordable mortgage is as important as securing a mortgage at all. Is that all too much in one go? Okay. Let’s break it down. £69,000 (annualised contract rate) x 4.5 (affordability factor) = £310,500. That’s called contract-based underwriting. It’s how we work out that a contractor earning £300/day can afford a £310,500 mortgage. It is that simple and we’ve taught our mortgage lenders to see and approve this method. your income is irregular and difficult to prove. Don’t turn away now if any of these are the case. 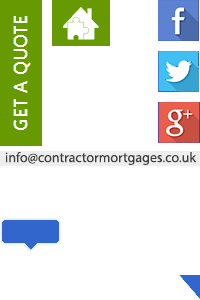 Contractor Mortgages® are specialists in advising and arranging mortgages for contractors. We’ve seen these all before and resolved them, to boot. That’s whether you have your own limited company, or are an umbrella employee. We provide specific advice to first-time buyers, movers and remortgages alike. None of the above scenarios are foreign territory, let us assure you of that, at least. Who can you secure mortgages for? There’s no theoretical limit to the type of self-employed client we can help. Yes, some lenders are occupation-centric. But that’s why you need a broker with access to all types of contractor mortgages. That’s by no means a definitive list. It just gives you an idea of our flexibility. The mortgage market for independent professionals has changed. We’ve not only moved with it, we’ve had a hand in shaping it, too! 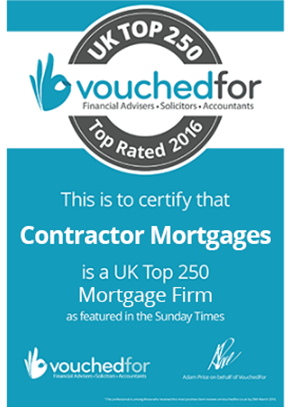 Contractor Mortgages® are independent, FCA-accredited specialist mortgage brokers. We’ve achieved this status by building relationships with a whole host of lenders. Some you’ll know well, others maybe not so. But what this means is that we immediately know which mortgage product is right for you. Of more importance to you, we also know where to get it at the most competitive rate. We offer clear, impartial advice that bypasses the dated bias High Street lenders show. Their lending model is so stacked in favour of permanent employees, it’s scary. The UK labour market has changed. Most High Street banks and building societies haven’t. They’re so wrapped in red tape, they’re static, or even going backwards. We get it. We know that for tax reasons many contractors draw a low salary and restrict dividend drawings. These legitimate measures help avoid paying higher rate personal tax. Instead of shying away from this advantage, contract-based underwriting leverages it. We can prove your affordability. Thus, we’ll secure the most competitive mortgages regardless of your payment structure. also provide the often overlooked income protection & critical illness coverage you need. To get started, all you need to do is fill out our call back form. From there, one of our mortgage specialists will be in touch shortly. In the meantime, get as much of the documentation together as possible, ready. We’ll have that chat and walk you through the rest. If you’re happy, we’ll start the ball rolling. And that’s how we do contractor mortgages: simple, painless, within budget and on time. Your move. How much can I borrow as a contractor?